On Aug. 1, 1973, “Bluegrass for a Saturday Night” introduced area radio listeners to what would become an institution in public radio. 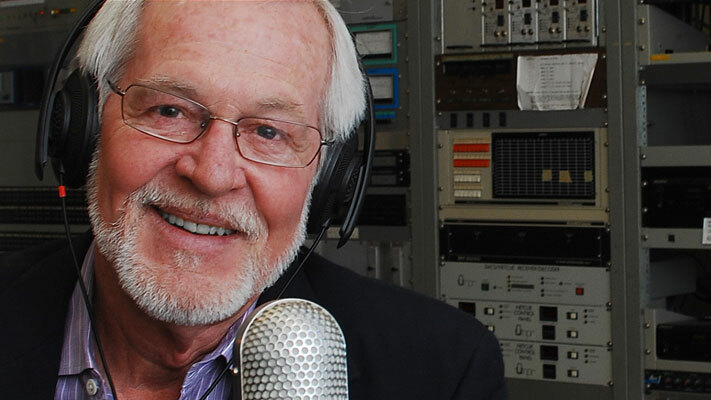 Since then, KMST has broadcast an eclectic mix of music and NPR news and garnered a worldwide following. 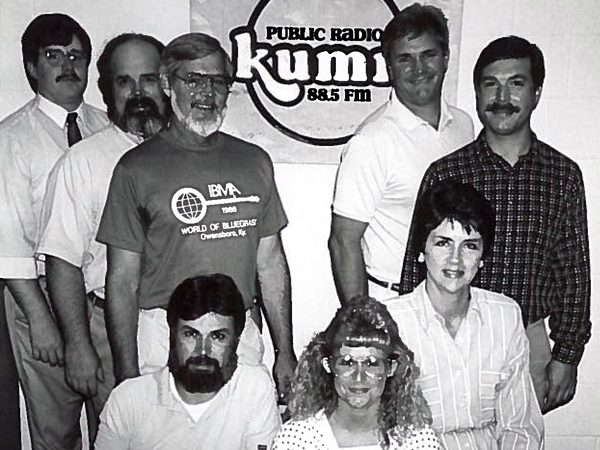 KMST, then known as KUMR, celebrated its first decade on the air in the 1980s. Pictured above on the back row are Scott Dowd, Jim Sigler, Wayne Bledsoe, Lee Buhr and Norm Movitz. Pictured on the front row are Chuck Knapp, Kelly Hughes and Joyce Jella. Three of these staffers – Bledsoe, Movitz and Knapp – still work at the station. 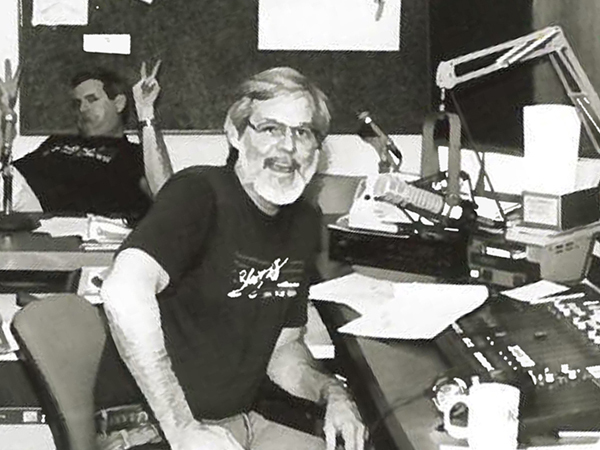 During membership drives, on-air staff work to raise money for the station and build the station’s membership – and they have fun doing it, as Wayne Bledsoe (at the microphone) and Lee Buhr demonstrate.